What to pack on an adventure trip? When it comes to an adventure trip, packing and what to pack are two most important things.it can be said that having necessary stuff along and not too much is a skill. As a general rule, if you can't lift your own luggage, you've got too much stuff (no more than a third of your body weight). What to pack in Iran? Packing for an adventure trip in Iran wouldn't differ a lot from other countries. It would mostly depend on where you are going, what the weather is going to be like and what you are going to be doing. The trick is to find balance between weight and comfort. 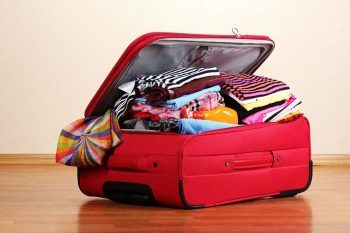 In Iran your luggage includes one backpack and one daypack that are weighting 20 kilograms maximum .To carry your things, rolling duffels are much better than a luggage or Samsonite in an adventure truck, because they are convenient and flexible enough to squeeze easily into spaces. Sometimes the lockers are as narrow as 38cms. If the frame does not fit these diameters, there aren’t many other places to put your bag and it will inconvenience everyone else on tour.so again duffels are perfect for stashing into a locker or an overhead shelf. To carry your important and vital documents, cards and cash a money belt is always required. If you don't want to lose your keys, a small combination lock to put on your locker is a good idea. One of the most important things to be done before going on a trip is to pack clothes. It always gets into your head that you will need at least 3 or 4 outfits for every day stuff like dinners, but when get to traveling, you remember how much time you spend through the mountains, rivers and woods and these pretty-yet unused outfits get crammed into the back of your duffels. What clothes to pack on an adventure trip to Iran? Regarding the season and the place you are going to choose, the clothes you pack would be different. There are always useful suggestions for necessary clothes that you will see some, in the following parts, but bear in mind that if you choose Iran, males and females should cover their body completely and females have to bring something to cover their hair according to Islamic order. What is a dress code in Iran? Before traveling to Iran, every tourist may think about the clothes that are allowed to wear. Iran like any other country has its own rules and regulations, but it doesn't mean they are strict and hard. There always have been some rumors about Islamic order in Iran, but finally the tourists who visit Iran would always confess that the hospitality of Iranian is much more than what they heard and they take it easy for their guests. A dress code for tourists includes some points, males and females should cover their body completely, long Jeans and cotton pants and long-sleeve tunics in every color and style are perfect. Long dresses and skirts also are good for women. Needless to say that females should cover their hair with whatever they like, for example a light scarf for summer and a warm shawl for winter can be good ideas. Wearing sandals and nail polish is not forbidden. Your clothing should be easy to wash and dry and should preferably not need ironing. Avoid synthetics, which can be very uncomfortable in hot weather. Long-sleeve shirts and pants will be very useful because there are nights that are warm but you must still wear clothes that cover arms and legs from mosquitoes, or there are days that are warm but nights that are freezing so pack carefully. • Scarves or shawls (depending on the weather) for females.